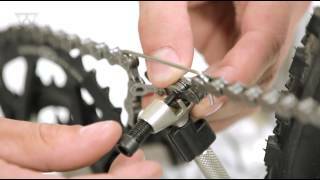 Topeak Universal Chain Tool is a great durable, high quality chain tool. Proven to be reliable and hard-wearing over many years, it also has a fantastic 6 functions which give you added value for money. It features a hollow handle, which unscrews for easy storage.